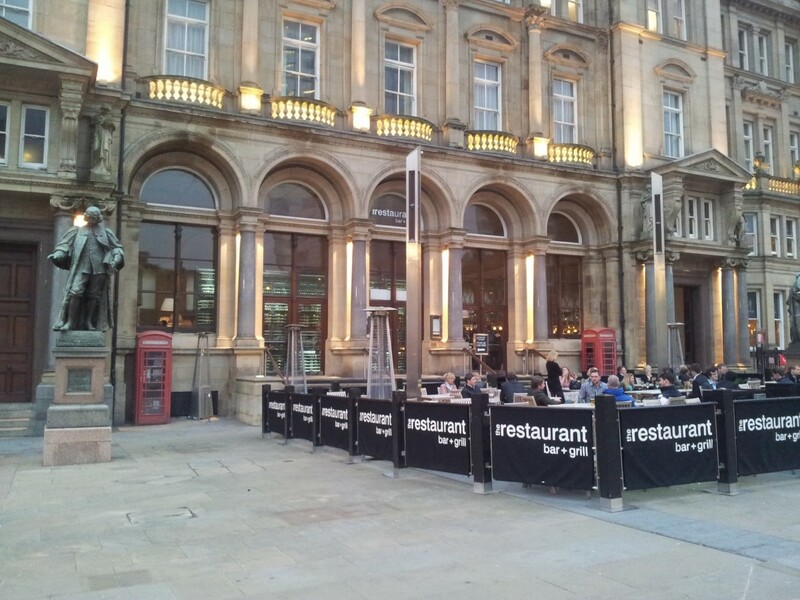 The beautiful exterior of The Restaurant. Proof that you can’t judge a bar by its cover. The Restaurant is a place that a lot of people seem to like. None of those people are us. The building that houses it used to be the post office and is undeniably beautiful. 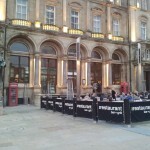 Its spacious beer garden in the heart of City Square also adds some appeal. 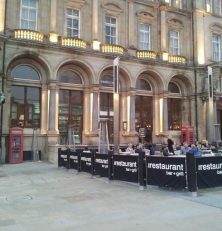 We enjoyed watching the sun set behind the newly renovated Majestic and reflecting off the other sites of central Leeds. Beyond that, however, The Restaurant just doesn’t offer anything that appeals to us. 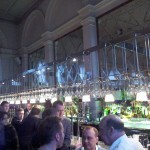 A view of the bar. Looking for a place to sit? Good luck. The interior design of The Restaurant targets local and visiting business people who want to come to a place that seems smart and cool. 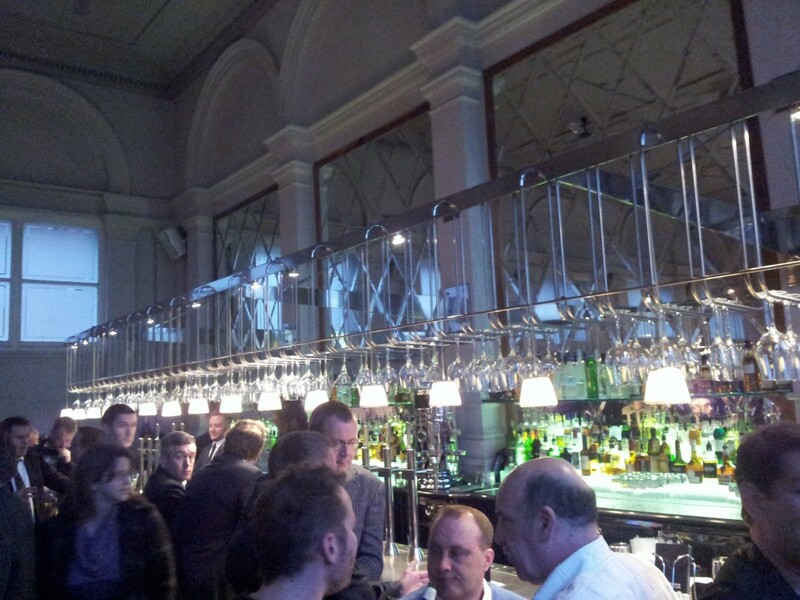 Everything is made of chrome and and looks shiny, including the bartenders. And despite there being six of them, it took us quite a long time to get served, possibly owing to the fact that we clearly looked like we didn’t belong there. We made a narrow escape out of the sea of suits and loud conversations to sit outside — about the only place there is to sit. In short, while it successfully caters to a certain clientele, The Restaurant just isn’t our cup of overpriced mediocre lager. Ooohhh, burn! A scathing review!